During the celebrations of Šeduva Days on 27 June, Šeduva Jewish Memorial Fund made a significant donation to the local community in the form of a new fully equipped 4x4 Ford Transit ambulance car which was delivered to the local ambulance station. 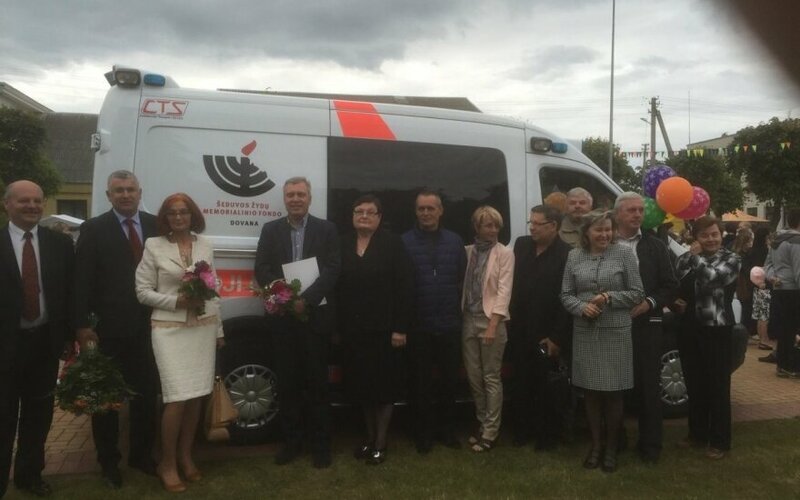 Apart from that, Šeduva Jewish Memorial Fund also presented electronic scales for newborns, modern blood testing equipment, computers and more. 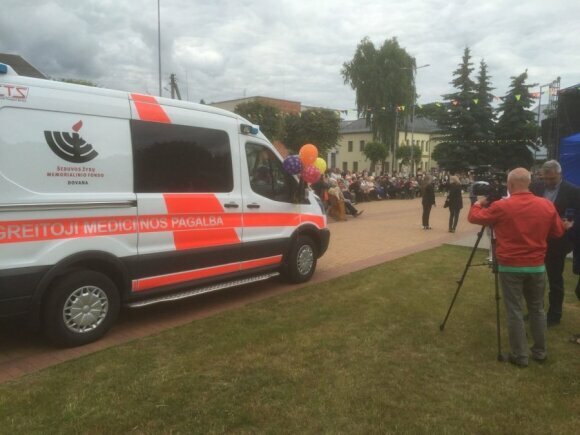 The total worth of the donation to the local community is almost EUR 150,000. 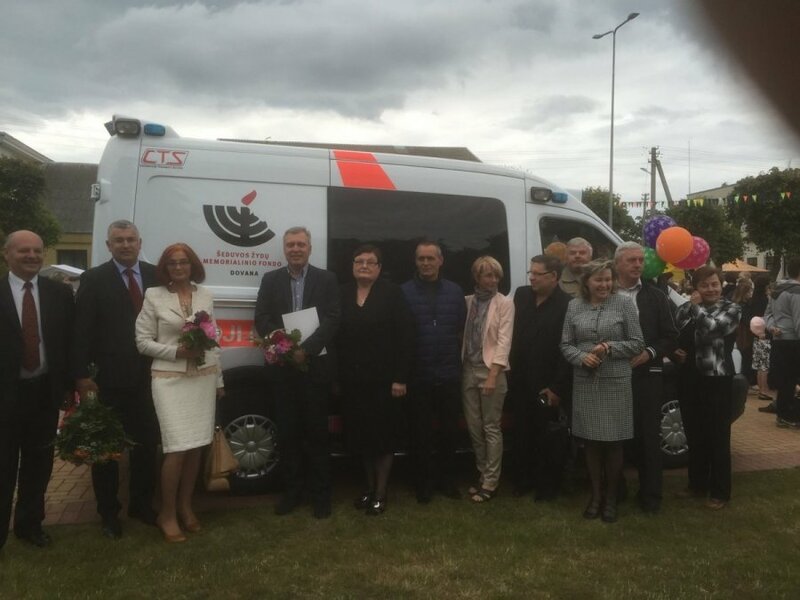 According to Mrs. Irena Palionienė, Director of Radviliškis Ambulance Centre, this was the first time during Lithuania's independence that such a donation was made. It is the third year when Šeduva Jewish Memorial Fund is working on the project Lost Shtetl. The project will include opening Šeduva Jewish Museum, an already restored Jewish cemetery and newly-built monuments on mass murder sites as well as a monument in the town of Šeduva. Lost Shtetl has earned early international acknowledgement – it has been included into the European memorial route map (www.memorialmuseums.org) as well as the the Lithuanian Jewish Heritage route.